The 1965–1966 cars were the smallest and lightest of the GT350 models. 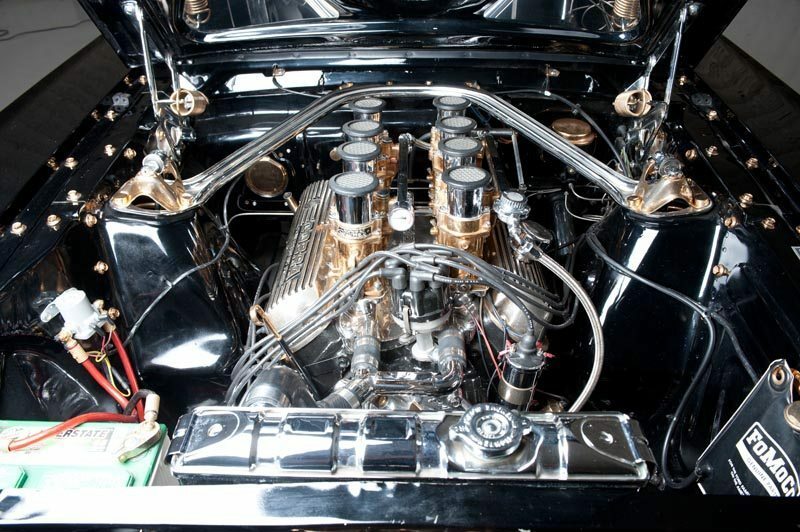 All 1965–66 cars featured the K-Code 271 hp 289 cu in (4.7 L), modified to produce 306 hp. Marketing literature referred to this engine as the Cobra Hi-riser due to its high-rise intake manifold. Beginning as a stock Mustang with a 4-speed manual, the cars were shipped to Shelby American, where they received the high-rise manifolds, had their stock Ford Falcon live rear axles replaced with heavy-duty Ford Galaxie rear axles, and were given larger, metallic-lined rear drum brakes and Kelsey-Hayes front disc brakes. The 1965 GT350 was not built for comfort or ease of driving. Less than 30 “GT350R” race-spec cars that were built specifically for competition use under SCCA rules. 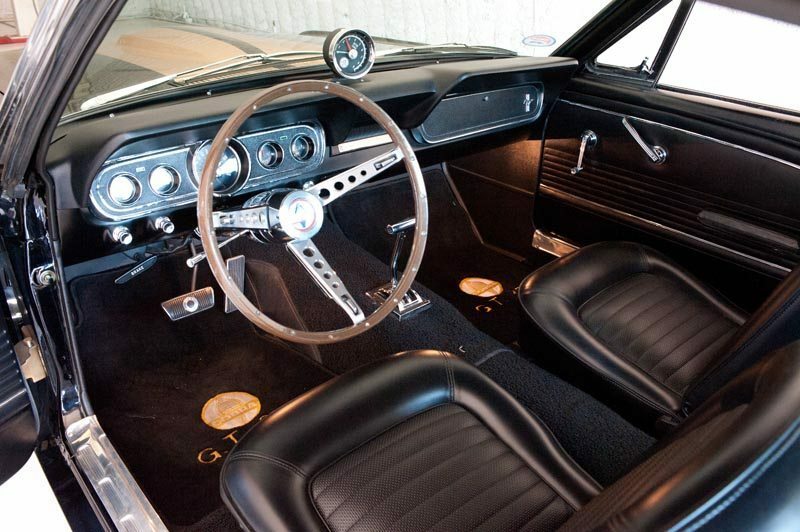 The 1966 GT350 features a bit more comfort for casual drivers, including rear seats, optional colors, and even an optional automatic transmission. 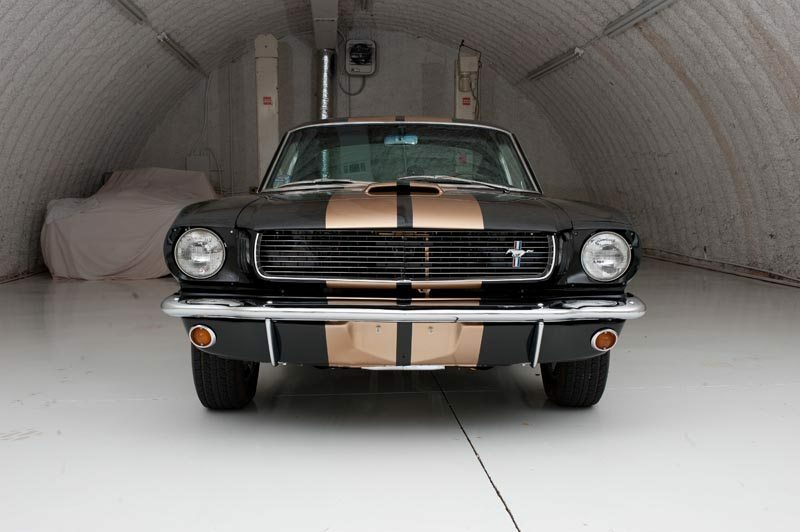 Shelby struck a deal with the Hertz Corporation in 1966 to produce a special line of GT350s for rent that, after their rental-car lives were finished, were returned to Ford, refurbished, and sold to the public as “GT350H” models. Most Hertz cars featured gold LeMans stripes and rocker panel stripes, although a few were white with blue stripes. The first 85 Hertz cars were available with four-speed manual transmissions and Hertz advertised them as “Rent-a-Racer” cars. During rental, these cars were sometimes used as production class cars at SCCA events, and were rumored to have been returned to Hertz with evidence of roll bars being welded in. Hertz ordered the last 800 models with black paint, gold stripes and black interior, as well as automatic transmissions. The owner of this show car is a dedicated Shelby enthusiast who had already won nearly every SAAC Award possible, so he then set his sights on winning at the top of the show circuit, and built this car – starting with a very nice, numbers matching Hertz GT350 – to win on the ISCA circuit. The International Show Car Association events are like a jewelry show, with an incredible attention to detail that is almost beyond belief. The very best customs, hot rods, and show cars in the world are showcased indoors, with elaborate displays, mirrors to show off the undercarriages, and an outside the box presentation of the wildest, most elaborate vehicles anywhere. The level of competition is very high, and these awards are as highly sought after as any Pebble Beach or Ridler award. Starting with a solid, numbers matching Hertz GT350, the entire car was stripped and meticulously repainted in the correct Hertz livery. The entire exterior presentation is flawless, including paint, chrome, panel gaps, and stainless – far better than any factory finish ever seen. Even the bottom of the car has been completely color sanded and buffed, and is ready for the closest inspection. All of the body panels are original to the car, and the interior is completely fresh, and also presents as correct and completely new. Literally every nut, bolt, and fastener has been replated, and over $250K was spent on the restoration. Under the hood, the original numbers matching 289 has been set up to Ford GT40 specs, with the correct Cobra intake, Webber carb set-up, and an incredible level of detail. To say this is a show-quality engine bay does not do it justice. It’s not only correct, but done to the highest show-car standard, and the stringent ISCA judges agree wholeheartedly. The car has won nearly every ISCA Award available, including Outstanding Chassis, Outstanding Paint, and the coveted Outstanding Engine award. Enjoy this recent video on the GT350H!